Jakub Sumbal learns extra things at P-Pool, an undergraduate programme for motivated students at MU Faculty of Medicine. At secondary school, I couldn’t decide whether I should study medicine or molecular biology. The P-Pool programme fitted both bills for me, Jakub Sumbal explains. Organoids, or multicellular assemblies of cells whose structure and function provide a very authentic simulation of actual organs, were chosen as the “method of the year” by the Nature journal. Jakub Sumbal uses them for cancer research. Jakub Sumbal was looking for ways to make the most of his studies, which is why he signed up for the P-Pool programme at the MU Faculty of Medicine in his first year. One of the things he learned was a special method of cultivating cells to grow organoids or small versions of actual organs. This was one of the things that helped him secure an internship placement at the prestigious Institut Pasteur in Paris. P-Pool, an undergraduate programme for motivated medical students, is a special study module that offers extended training in research and whose participants work in a lab every day. This gives Jakub the chance to work independently on various research projects and he also has a mentor whom he can always ask for advice. 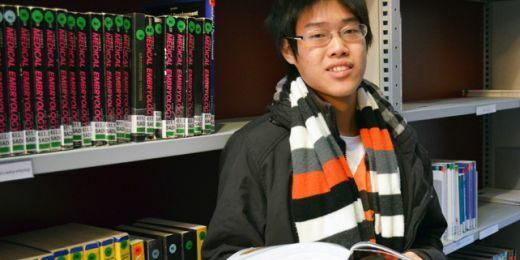 “At secondary school, I couldn’t decide whether I should study medicine or molecular biology. The P-Pool programme fitted both bills for me,” he explains. 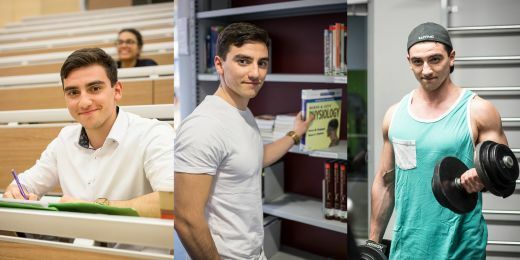 Besides expanding his professional horizons, there are also other things that drive him to participate in the programme: “An important aspect is that I’m happy to devote my free time since we only go to the labs after our regular classes. I also get some financial support to attend conferences both in the Czech Republic and abroad and, moreover, I have the huge advantage of the individual approach provided by my supervisor Zuzana Koledová,” he says. Organoids, or multicellular assemblies of cells whose structure and function provide a very authentic simulation of actual organs, were chosen as the “method of the year” by the Nature journal. Someone unconnected to the field will probably think that they might be used for transplants, and it is not inconceivable that we will get there one day. However, for the time being, their main use is for testing in research, including Jakub’s projects, as Jakub also learned how to use this method. One of the main advantages of organoids is that they are three-dimensional. “When you study cells in a lab environment, it is usually done in two dimensions – typically, they are placed on a hard flat surface and put under a microscope. But that’s not how the human body works: everything inside us is 3D. Studies conducted on three-dimensional models increase the relevance of the research and provide more promising and accurate findings,” he explains. “Organoids are grown directly from the living tissue of mice. My research focuses on their mammary glands. I usually have a number of them growing in dishes and I add various substances to them to see how the organoids react,” says Jakub about the modern technology that he uses in his research at the Institute of Histology and Embryology. 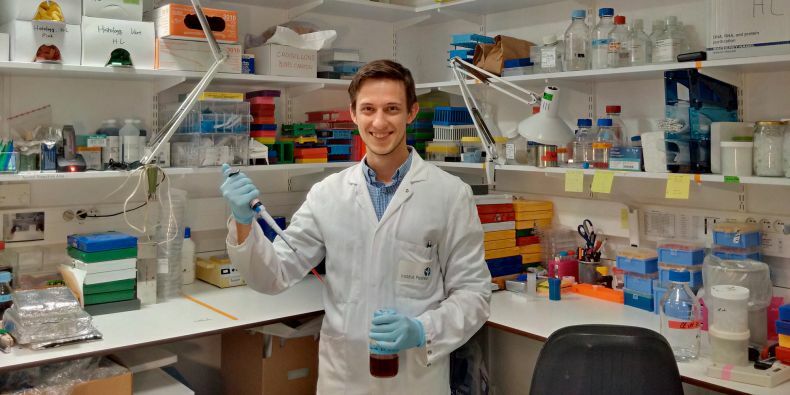 Jakub’s excellent study results and his high-quality training in research won him an exceptional offer this year: he spent two months at the Institut Pasteur in Paris through the Amgen Scholars scholarship programme. “When they wrote to me to say they would like to work with me on the plasticity of mammary gland cells, I was really excited, since that’s what I’ve been focusing on. Moreover, I was able to offer them my know-how on the organoid method, which was something they hadn’t had before,” says Jakub about this unique study opportunity. And where is Jakub Sumbal headed once he graduates from the Faculty of Medicine? “Even though I’m enrolled in general medicine, I’m not planning to be a doctor. I will definitely continue with research, that much is clear. Maybe I’ll open my own lab one day – who knows,” he concludes. 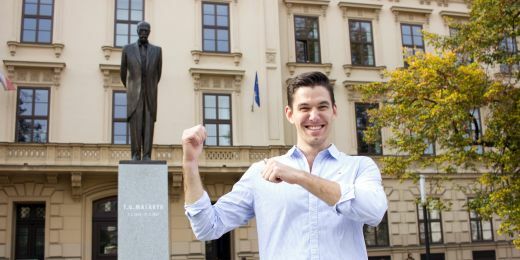 Maximilian Wiebels is in his 9th semester at Masaryk University and is happy with his decision to study here.